Whether patients have health insurance or not, medical care can be expensive. From daunting upfront costs to high deductibles and copayments, many Americans simply don’t have what they need on hand to cover healthcare costs. Medical loans can close the gap, which is why helping patients connect with a fair and competitive lending program has become important to providers who want to make sure the people they care for stay healthy, both physically and financially. Epic River offers a Patient Lending solution that benefits not only your patients but also your staff and your business’ bottom line. 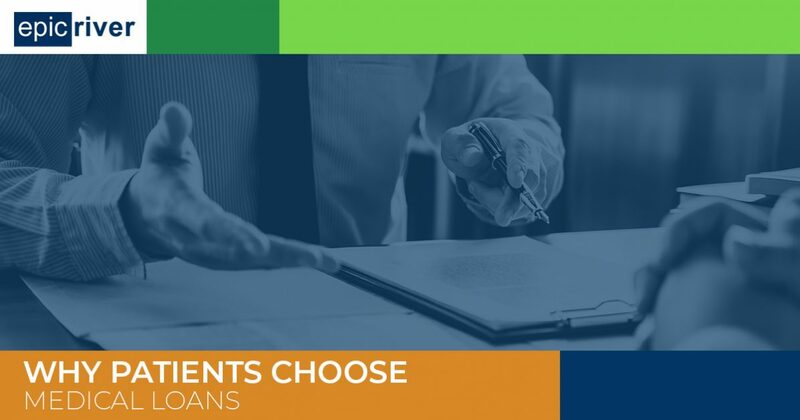 We have written plenty about the advantages of our program, but in today’s post, we take a step back to explain why people choose healthcare lending programs in the first place. For a better understanding of why your patients need access to simple, low-interest medical loans, please continue reading and contact Epic River today to learn more about how we can help. Even for those with health insurance, the costs of some procedures and services can be too high for patients to pay immediately. Patients may be struggling with high deductibles or high coinsurance payments. In other cases, the procedure in question may not be covered at all by their insurance. Medical loans can help these patients get treatment as needed by covering the immediate costs on their behalf and then facilitating periodic payments customized for patients’ budgets. A patient may also depend on a medical loan to cover the cost of emergency care. While common sense financial advice advocates for building a savings account to cover emergencies, not every patient has the flexibility to put money aside, or their savings may simply not be enough to pay for the medical treatment they need. A healthcare loan allows them to focus on healing rather than handling a financial emergency. If a patient has tried to handle their emergency or out-of-pocket costs alone, without the budget to pay them in full, then they may be staring down the barrel of significant medical debt. A healthcare loan provides a way to consolidate that medical debt. The hospital receives full compensation, and the patient only has to budget for one payment at a time. It’s a sad fact that many patients in the U.S. have trouble affording medical care. Forty-four percent of patients surveyed in a recent study said they would not seek health care if the out-of-pocket costs added up to $500 or higher, even if it put their health at risk. 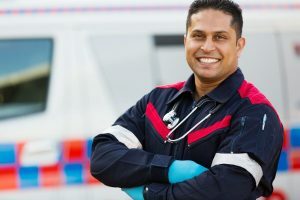 Affordable, accessible medical loans make treatment more feasible, which means that, as a healthcare provider, connecting your patients with a fair lending program can be an important step in making sure they get the medical treatment you recommend. The Epic River Patient Lending program connects hospitals with local banks and financial institutions, giving providers like you the ability to offer patients low-interest medical loans. We provide the systems and technology you need, including fast, simple, and secure eSignature services and a widely compatible, user-friendly web platform. You don’t have to worry about locally installed software, delayed reimbursement, or collecting payments from the patient. The bank pays your hospital or healthcare facility the entire sum up front, and then they utilize their existing resources to collect from patients. Ready to learn more? Contact a member of the Epic River team today!